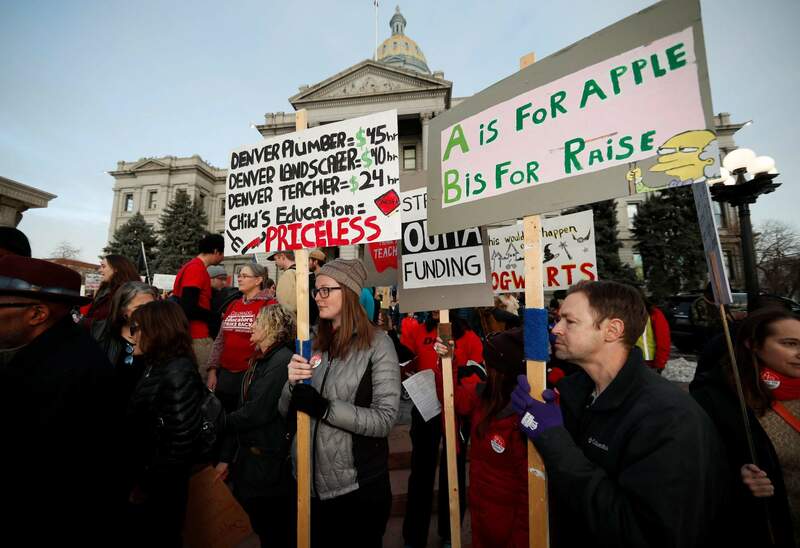 Teachers from Denver Public Schools carry placards as they wait to march after a rally in support of a strike on Jan. 30 outside the State Capitol in Denver. Denver teachers are planning to strike Monday after failed negotiations with the school district over base pay. Denver Public Schools teachers rally Jan. 30 outside the State Capitol in Denver. Denver teachers are planning to strike Monday after failed negotiations with the school district over base pay. 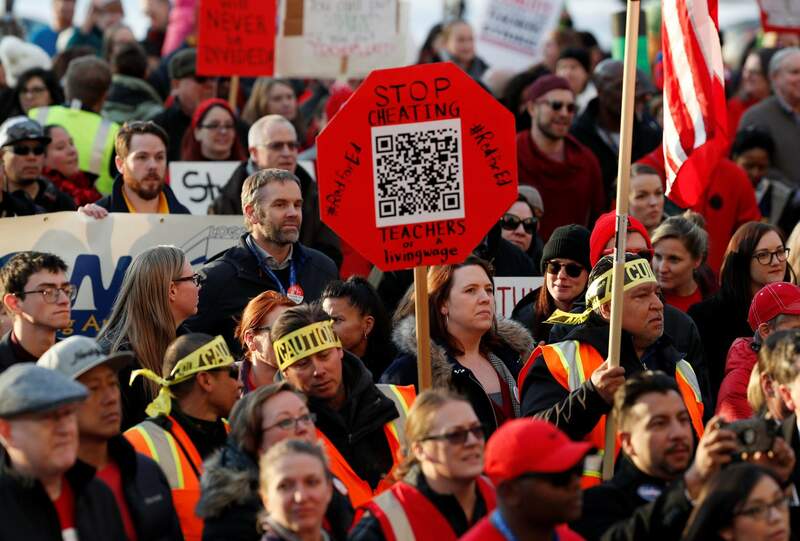 DENVER – Denver teachers are planning to strike Monday for the first time in 25 years after failed negotiations with the school district over base pay.